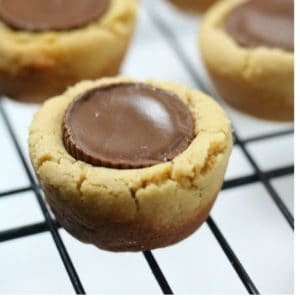 December 5, 2016 1 comment on "Peanut Butter Cup Cookies"
These easy Christmas peanut butter cup cookies are the perfect combination of chocolate and peanut butter. Great for holiday or Christmas cookie exchanges! Expert tips for writing the perfect Christmas letter to send out to friends and family during the holiday season. 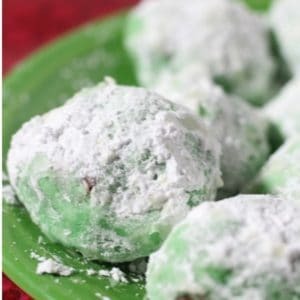 These mint snowball cookies are fun to make and even more fun to bite into. They are the perfect combination of chocolate and mint. 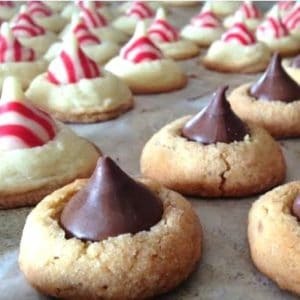 Give these easy cookies a try for your next holiday or Christmas cookie exchange. November 15, 2016 0 comments on "The Best Christmas Cookie Exchange Recipes"
The best Christmas cookies for holiday cookie exchanges. April 30, 2016 0 comments on "Peppermint Oreo Truffles"